Looking for a knit dress that is comfortable, fitted and flattering just in time for warmer weather? 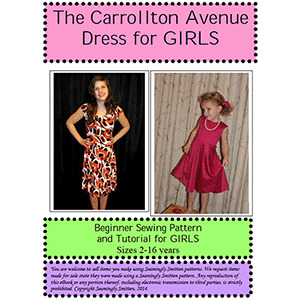 Then The Carrollton Avenue Dress sewing pattern is just for you! This sewing pattern will help you create a fit and flare dress that features a rounded-neckline, fitted bodice, cap sleeves and a semi-circle skirt for your little girl (and tween / teen)! The Carrollton Avenue Dress looks great with mary janes, sandals, flips flops or flats, worn with a cardigan or jean jacket or worn alone. 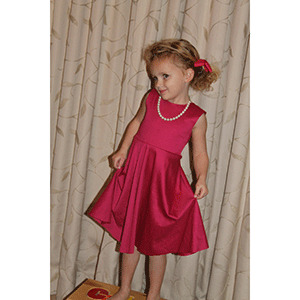 The Carrollton Avenue Dress is simple to make in an afternoon using your favorite knit fabric! Think solid, stripes or your favorite geometric print. This pattern is available in sizes 2 to 16. 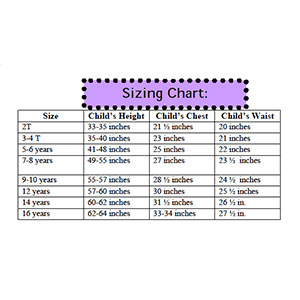 Suggested fabrics are cotton jersey, ponte de roma, or cotton lycra.